It's the start of a week of rolling one-day strikes around the country, after the collapse of contract negotiations last Thursday. Several rallies are being held across the city this morning, leading to more than 100,000 students missing school today. The Ministry of Education last week offered $129 million more, taking the pay offer to almost $700-million over four years, but it was turned down. Last-ditch negotiations last week which yielded an improved pay offer from the Ministry of Education was not enough to avert the industrial action, which follows a national strike in August, and the rejection of a second offer last month. 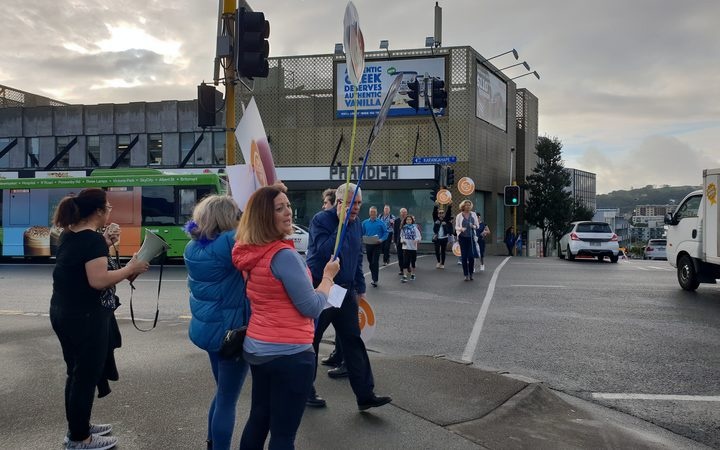 At the corner of Ponsonby Road and Great North Road in Central Auckland about 50 teachers have gathered, saying the government's offer is "too little, too late". The teachers are holding signs and waving banners, reading "Our kids deserve better". One of the striking teachers, Kim Hankins, from Newton Central Primary, said teachers' workdload was "just ridiculous". "I would estimate half of the teachers are planning to get out of teaching. The offer is too little too late," she said. "There aren't enough people out there wanting to be teachers. We need people wanting to come into the profession and that's not happening at the moment." The government's offer includes an increase to most teachers' pay by 9 percent over three years, a new top of the pay scale from 2020, an a $500 lump sum for union members only. Newton Central Primary principal, Riki Teteina, said the government has come a long way to address teacher's concerns, there was still a way to go. "It's still very difficult for teachers, and also we have a massive teacher shortage and none of these things are actually going to address that primary issue," he said. 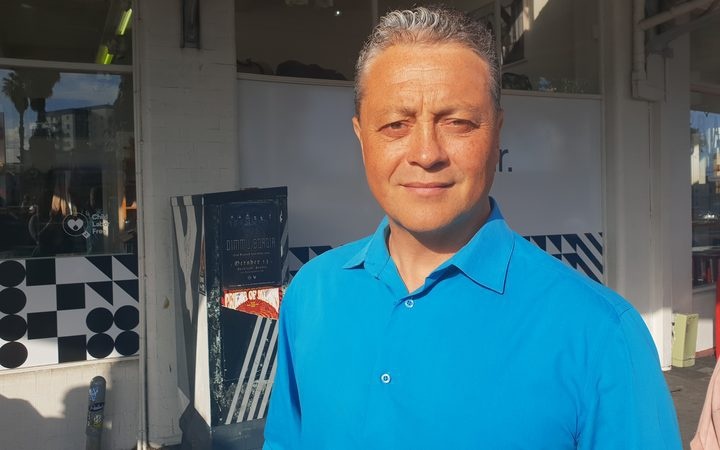 "I've been involved in international education and there are thousands of New Zealand teachers who are overseas, and it's because here they felt undervalued, underpaid and overworked. This offer is not going to change that tide and that's a big concern for me." Union members will vote on the latest offer later this month. Education Minister Chris Hipkins said teachers' union had asked too much in the negotiation process so far. The union had not been willing to compromise during mediation talks, and he was disappointed the strikes were going ahead. "The Government did everything possible to avert strike action. The mediator was very clear that the NZEI's claims were unreasonable and that the Government's offer was a very very good offer. "That's an independent mediator making that judgement." No more money would be put on the table for teachers, but the agreement could be "reconfigured" Mr Hipkins said. That might see more emphasis on relief time, and less emphasis on salary, for example. But the union had taken the position that it wanted everything, and was not willing to compromise, he said. South Auckland grandmother Nasreen Nisha will be taking her granddaughter to work today. She works with cars and said taking her granddaughter to work was inconvenient. "I do mostly practical work, so I'm in and out of the workshop and it will be a tough day for me." At Sandringham's Edendale School, Elizabeth Duke, is sorted for today's strike. She plans to work half of the day and her husband will work the other half. But, Ms Duke said keeping the children entertained for the day was not so easy. "It just costs extra money. They want to do things and we've just had holidays and we've got holidays soon, so it all just adds up." Toni Paget said she was lucky as a stay at home mum. "It's going to be a day of amusing them, probably Cornwall Park, climbing trees, letting them be kids." Mohit Prasad works from home. His children will be joining him today. "I'm quite a busy person, so looking after kids at home will be quite difficult." During the nationwide teachers' strike in August, more than 120,000 students in the Auckland region were off school and a similar number is expected to be home today. 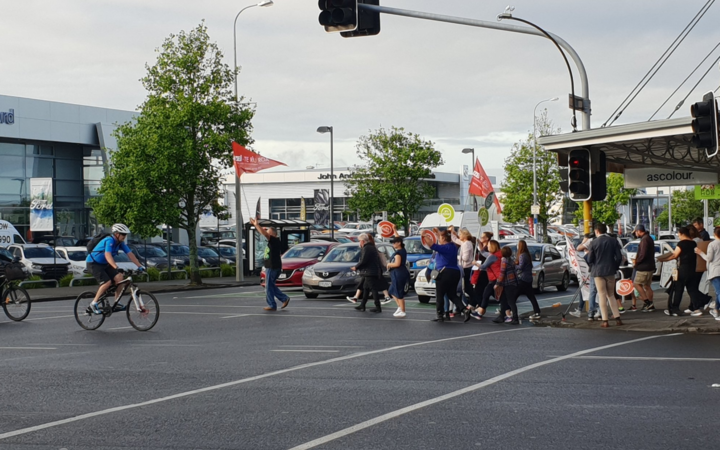 Despite this, all of the parents RNZ spoke to support the strike and teachers' demands for smaller class sizes, more resources and a significant increase in salaries. Today's strike is the first of five expected across the country this week. The Educational Institute said its members would discuss the ministry's latest offer and vote later this month on whether to accept or reject it. The Employment Relations Authority has slammed the teachers union's pay demands as "totally unrealistic" and is urging teachers to take the Government's offer.